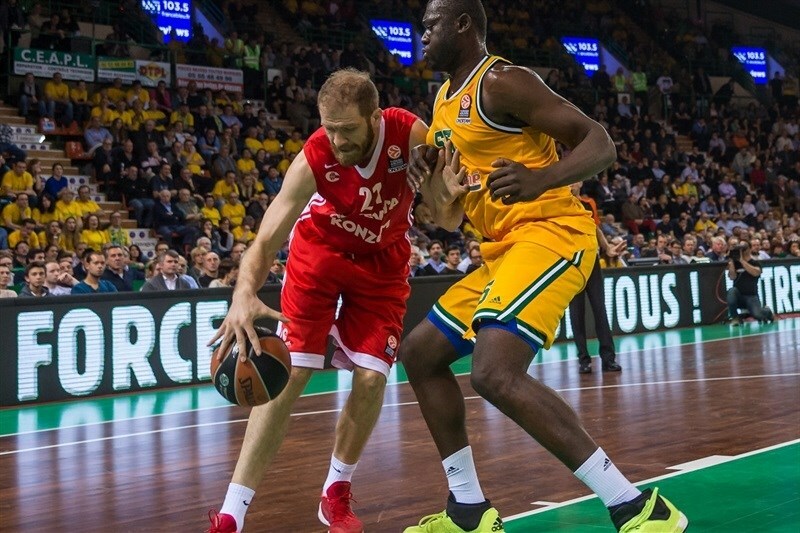 Cedevita Zagreb took a huge step towards a place in the Top 16 with a pivotal 69-78 road win over Limoges CSP on Thursday night. It was Cedevita’s third win in four road games this season, and improved its record to 4-3 for a share of second place in Group B. Cedevita also wins any potential tiebreaker with Limoges as it overcame a 4-point loss from Round 2 in dropping the French champs to 2-5. The visitors never trailed in the contest, opening the game with an 0-11 lead. 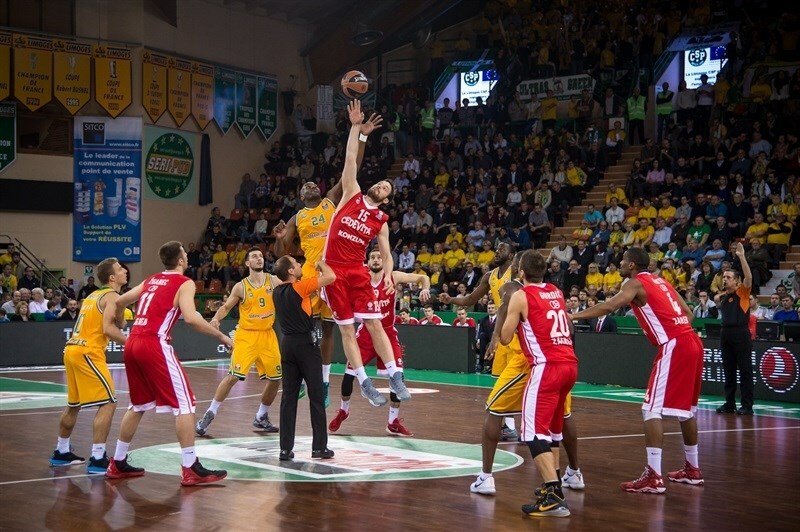 Behind Luka Babic, Cedevita opened a 16-point lead in the third quarter before Heiko Schaffartzik led a rally by Limoges. 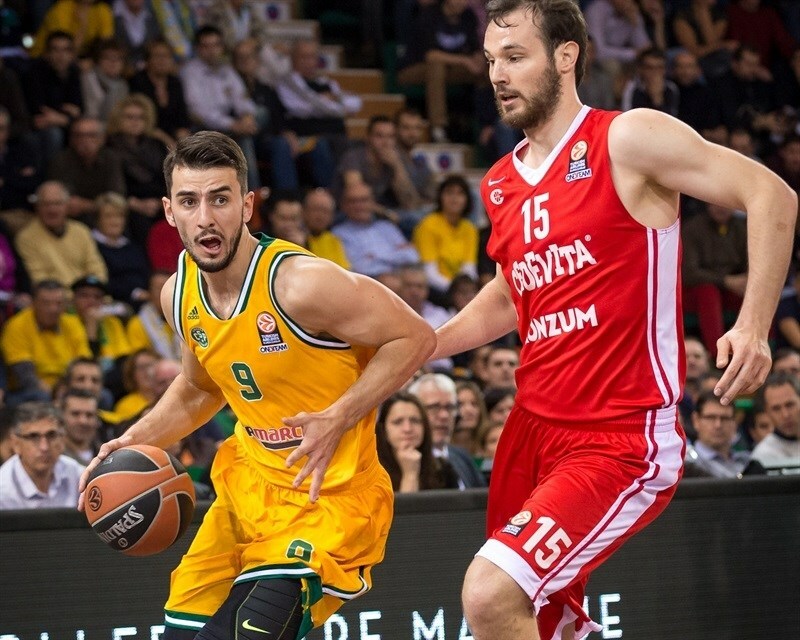 However, the hosts never came closer than 6 points and Babic and Jacob Pullen sealed the outcome. Luka Babic had a career-high 19 points and pulled down 6 rebounds, while Miro Bilan and Luka Zoric each added 10 in victory. 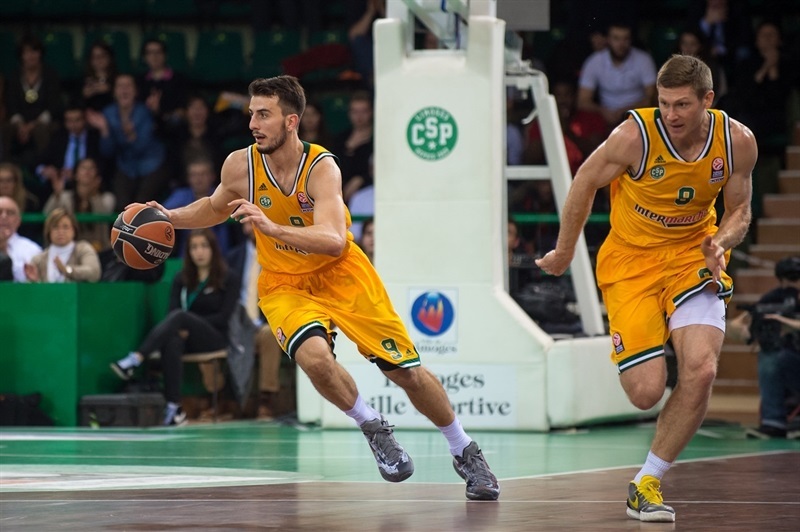 Schaffartzik was all over with 17 points on 5-for-8 three-point shooting, 11 assists and 6 rebounds for Limoges. 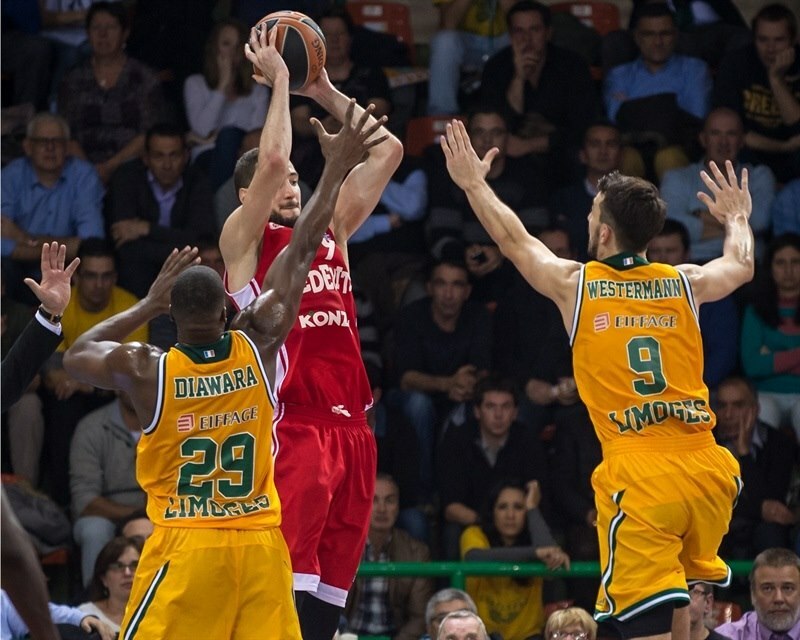 Diawara scored 13, and Leo Westermann added 10 points in defeat. 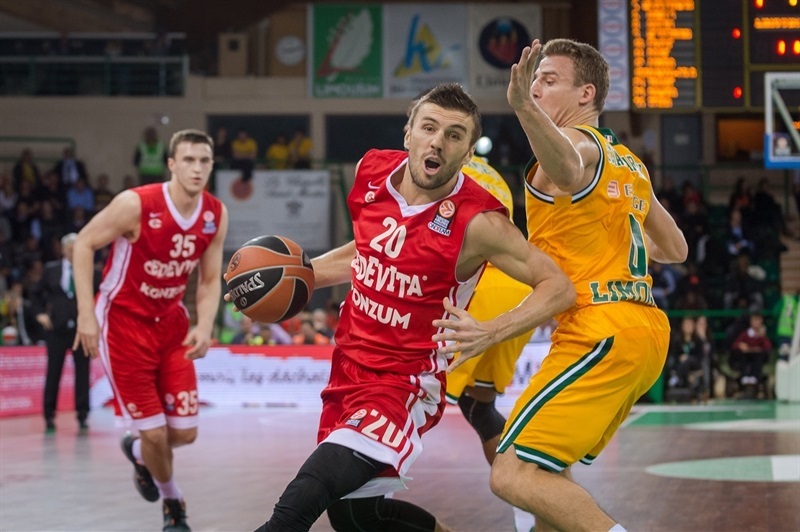 Cedevita stormed out of the gate. Bilan started things with a pair of free throws and a basket from close range. Babic made a steal and raced for a dunk. James White added a driving layup, then got a no-look pass from Bilan to sink a corner triple for a 0-11 start. Limoges did not score for more than four minutes until Schaffartzik hit from long range. Diawara followed, scoring from close range and long range. Then Schaffartzik nailed another from downtown to tie the game at 11-11. 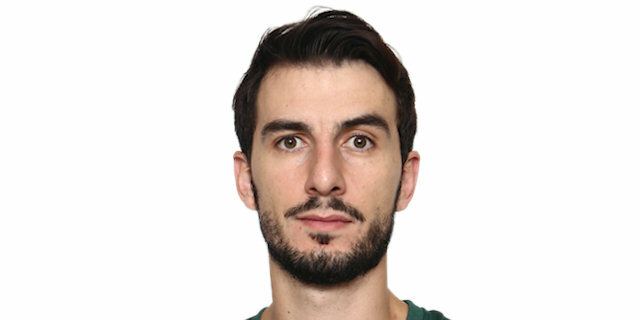 But Cedevita regained the lead with a three-pointer from Henry Walker. Limoges went to the free throw line often, but Zoric had a put-back and Pilepic a runner before Ousmane Camara and Zoric traded basket to make it 18-20 after 10 minutes. Diawara scored inside to open the quarter, but Zoric knocked down a turnaround jumper and Pilepic hit a triple that made it 20-25. Diawara and Marko Arapovic traded baskets, before consecutive triples from Pullen and Pilepic opened 23-33 margin. Nobel Boungou-Colo hit it from way downtown, but Pullen answered with an easy driving layup. Westerman banked in a long runner to help cut it to 30-35, but Arapovic made a runner, then buried a triple that gave Cedevita a 10-point advantage. Westermann scored 4 more points, but Babic made a baseline dunk and Bilan scored inside to restore a double-digit lead, 34-44. Schaffartzik made a corner triple, but Nemanja Gordic made a difficult driving layup to keep Limoges at bay. Camara had a put-back for Limoges, however, Arapovic got to the free throw line in the final second and made both to give Cedevita a 39-48 halftime lead. Babic opened the second half with a driving layup. Boungou-Colo hit a triple for the hosts, but Babic hit back-to-back threes for Cedevit to make it 42-56. Frejus Zerbo and Walker traded baskets inside, before Babic fed Bilan for an easy layup and. Schaffartzik and White traded three-pointers, before Limoges kept the visitors scoreless for 2:30 minutes to end the quarter, while Camara made free throws and Matt Gatens raced for a layup to beat the clock and cut it to 51-63 at the end of the quarter. In the opening two minutes of the fourth, Zoric and Babic each made a pair of foul shots, with Schaffartzik knocking down a triple in between, 54-67. 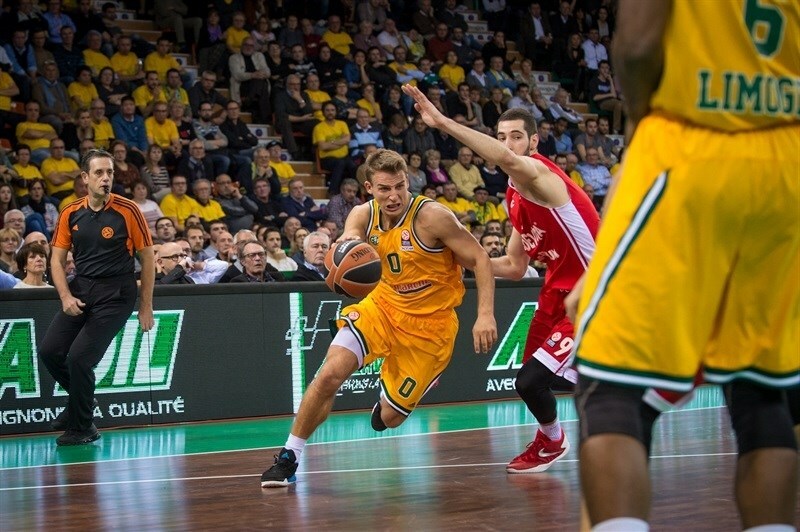 Camara and Zoric traded layups, and Schaffartzik continued to be on fire for Limoges, hitting a jumper and cutting it to 58-69. 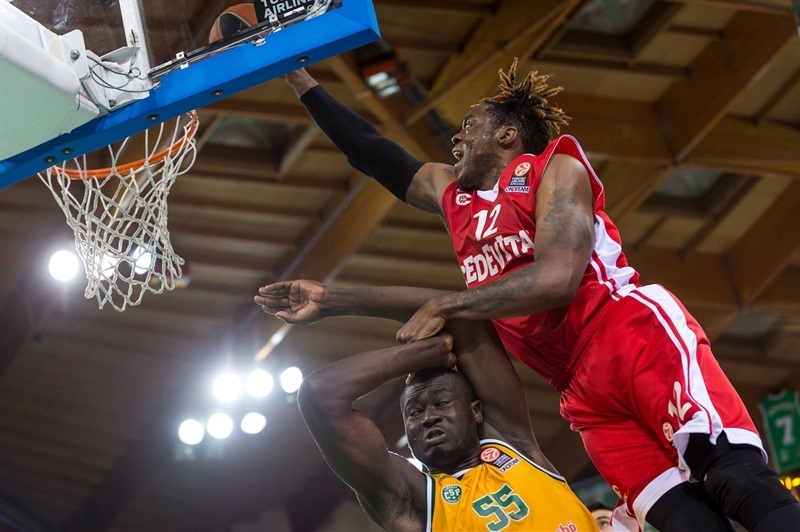 The hosts’ defense stepped up, holding Cedevita scoreless for more than two minutes, but Limoges did not manage to score themselves either, until Diawara buried a triple and Gatens followed, racing for a fastbreak layup to make it an 6-point contest. After a Cedevita timeout, Babic led a breakaway and finished it himself with a big dunk, and Bilan added free throws that put the margin back into double figures with four minutes left to play, forcing Limoges to call a timeout. 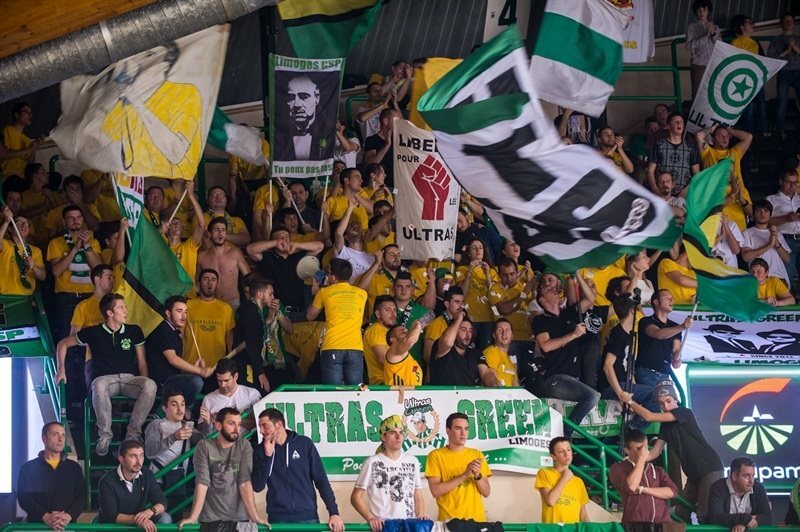 Traore scored a layup, then blocked a layup attempt by Arapovic to keep Limoges with the momentum. Traore cut it to 67-73, but Pullen made a runner with 90 seconds to go. Traore scored inside again, but Babic put the game away with a wide-open triple with 69 seconds remaining, sealing the outcome. 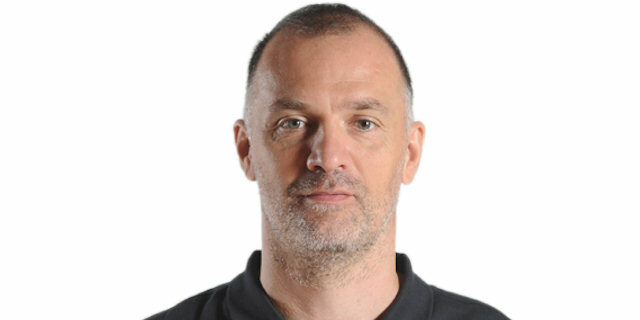 "This is a tough road court, it is not easy to win in Limoges. I played a lot of games here, and this is my first official win. We accomplished the both things we wanted. We won and did it by more than 4 points, too. So Limoges needs to win one more game than us to be better than us in the standings at the end. We are happy we won, but need to get better at few things. We had our share of mistakes, but did not lose our head, even when they got within 6 points. But to win better teams, we got to be tougher. 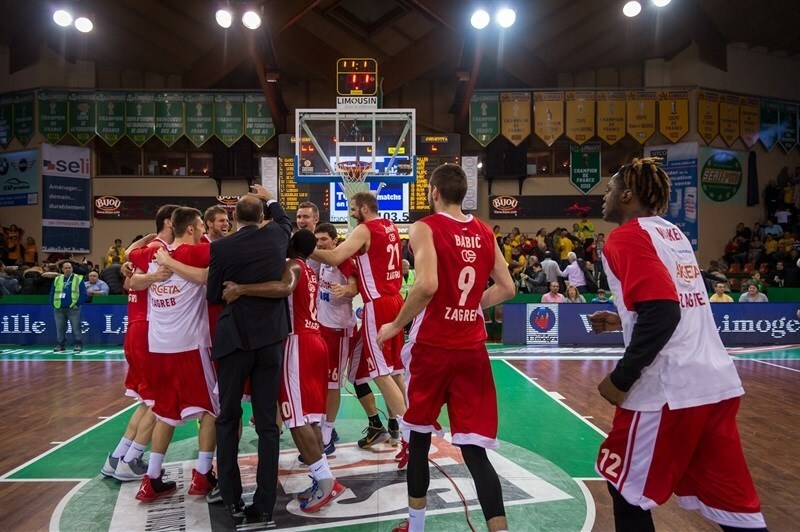 This was the best game for Luka Zoric since he joined Cedevita, and that is like another win for us. A lot of guys had small but important roles, like Zganec in the first quarter, Arapovic in the first half, and Walker in certain parts of the game." "They were the better team today. It is tough for us because we have many injuries and it was not easy for us to prepare for this game. Cedevita was much better. They played good basketball and that is why they won. This game was very important for both teams, and now Cedevita is on its way to the Top 16, while for us it is pretty much over." "First of all, we played as a team tonight and that was a key to this game. We did all tactical details we agreed on doing before the game. I want to congratulate the team and the entire club."